A bone-chilling morning greets me as I open the door to my cabin beside Lake St. Mary. The sub-freezing air hits my face and lungs. The sciatic nerve that I irritated on my 26 hour bus ride from Cali, Colombia to Quito, Peru a few months ago is talking back to me. 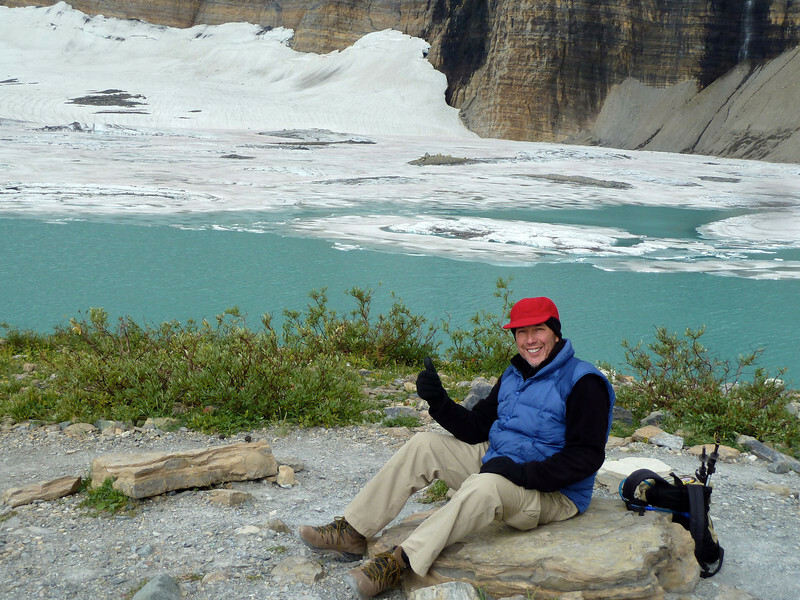 I am going to hike alone for six miles into the backcountry to see a glacier. Then I must return six miles before sundown and the accompanying plunge in temperature. Before long this area will be buried under 80 feet of snow and an early snowfall or a mishap could prove fatal. 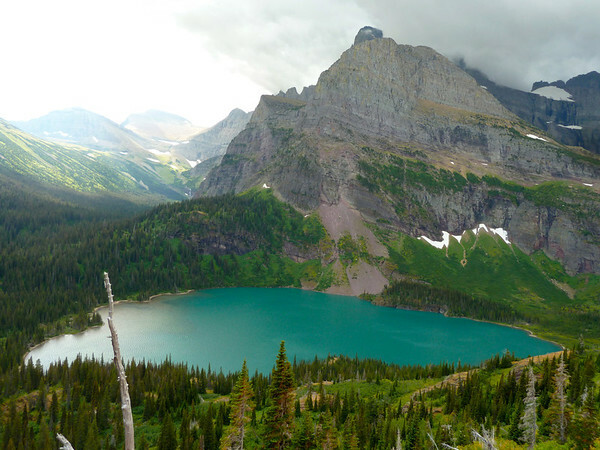 I am going to hike alone for six miles into the backcountry to see a glacier. Before long this area will be buried under 80 feet of snow and an early snowfall or a mishap could prove fatal. These thoughts begin to percolate my frontal cortex as I walk across the road and into the warmth of the lodge where I order coffee and breakfast. But I am prepared for and motivated to make this trek. Outer gear check. Three liters of water in my Camelback check. Headlamp, camera and extra charged battery check. High energy snacks check. Check, check, check. I pay my check, start the Jeep and make the 20 mile drive to the trailhead. 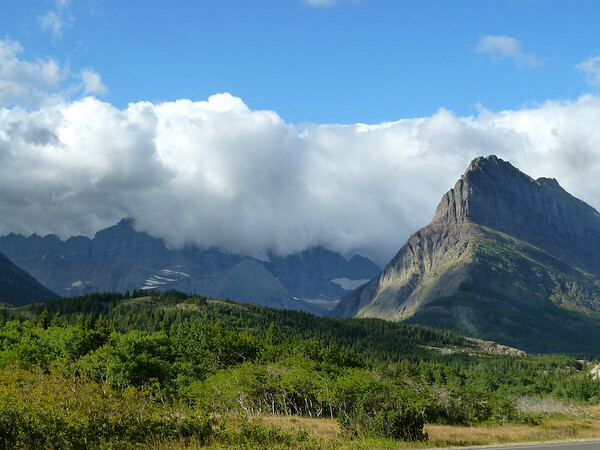 To get to the trailhead, I leave the park by the St. Mary’s entrance and drive nine miles north entering the Many Glaciers Park Entrance. 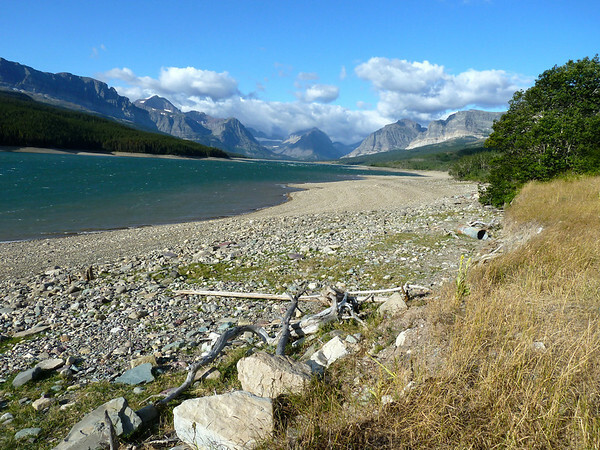 There are three entrances to Glacier National Park from the east. 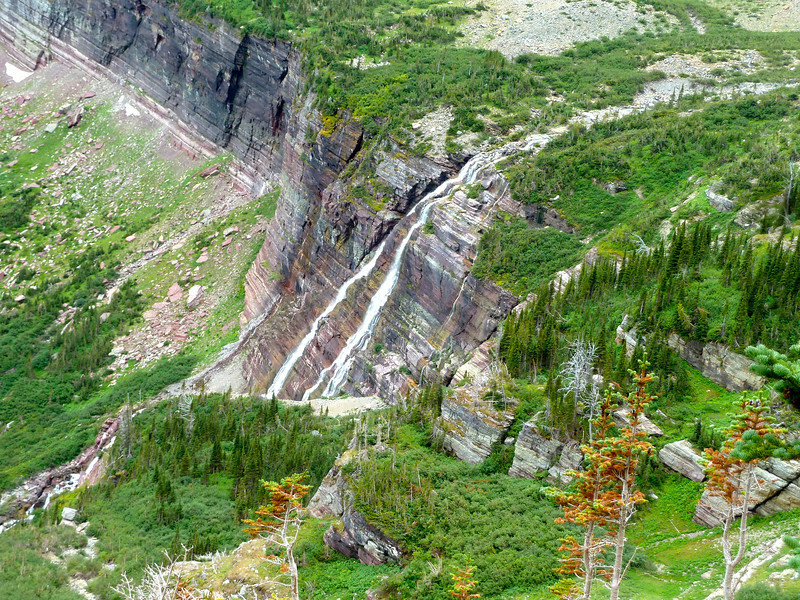 Only Going-to-the-Sun Road traverses the park and the continental divide. 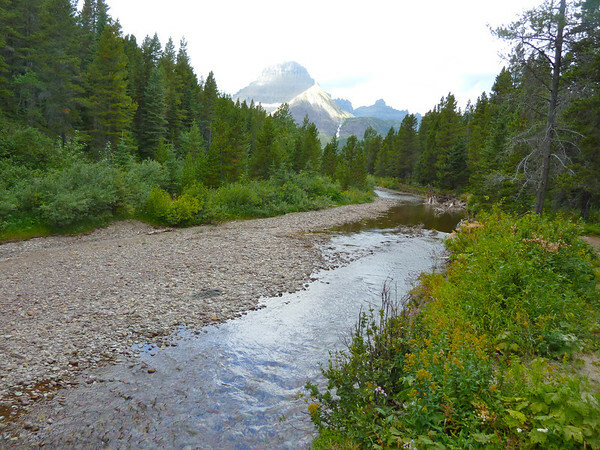 Due to the extreme ruggedness and remoteness of Glacier NP, the other roads intrude less than 10 miles into the park. 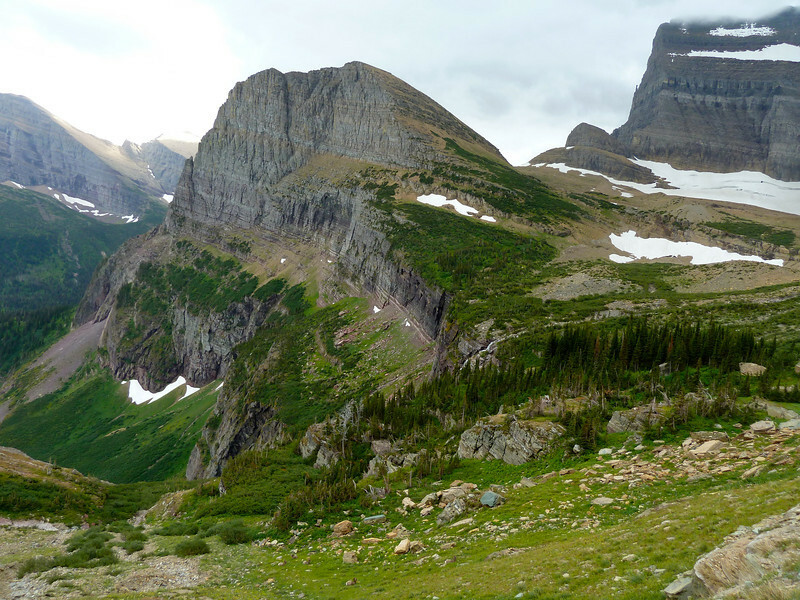 To really see this gem of a national park, one needs boots on the ground. 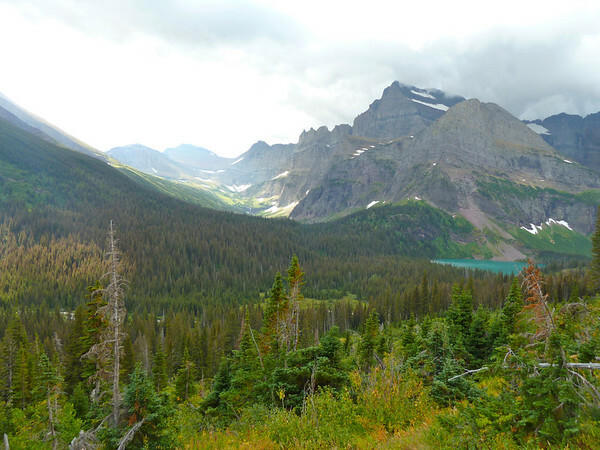 I park the Jeep by the trailhead next to Swiftcurrent Lake. After few stretches and a last cinch of the bootlaces and pack straps, away I go. The sun is out and the temperature is now pleasant during a relatively flat trek along the shore of this beautiful lake. 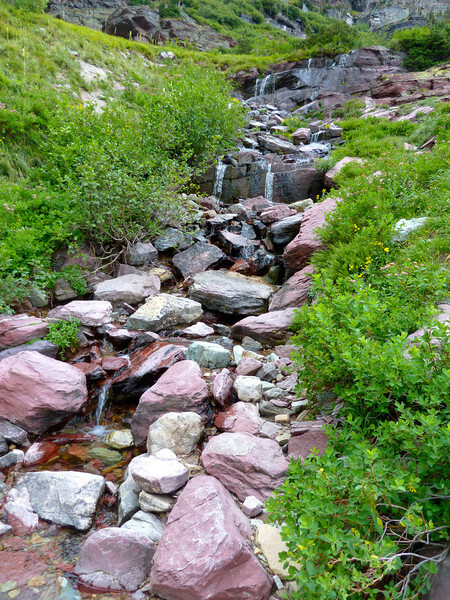 After crossing Swiftcurrent Creek, I begin to climb, slowly at first. An hour or so into the trek, I come to Lake Josephine. After this the grade becomes more aggressive. I have to stop and stretch occasionally due to the sciatic flareup. With low relative humidity and warm sun, I am glad I have a lot of water. Temperature variances are wild around here and I am down to a T shirt. I know that will not last as the elevation increases. Pausing to look back I can now see Lakes Josephine, Swiftcurrent and Sherburne well below and behind me. 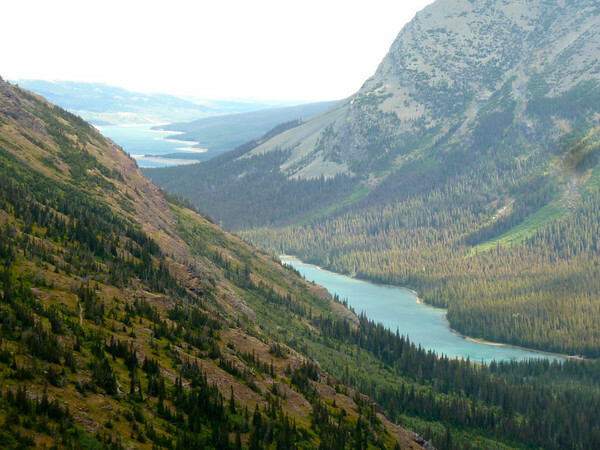 I continue to hike and climb as this vast land unfolds and changes before and around me. The terrain alternatively opens up and narrows. Suddenly I realize I am not alone! Suddenly I realize I am not alone! 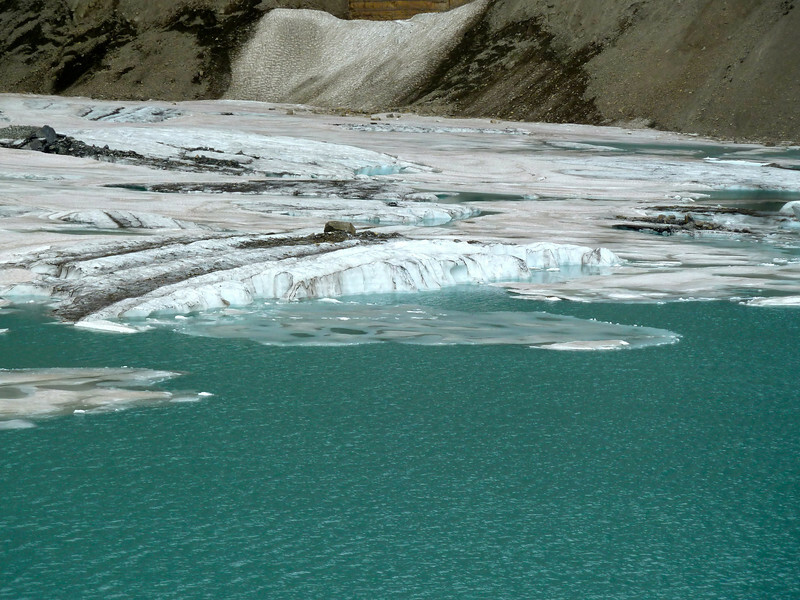 Soon, I am passing through an area of richly colored rock and babbling glacial runoff. 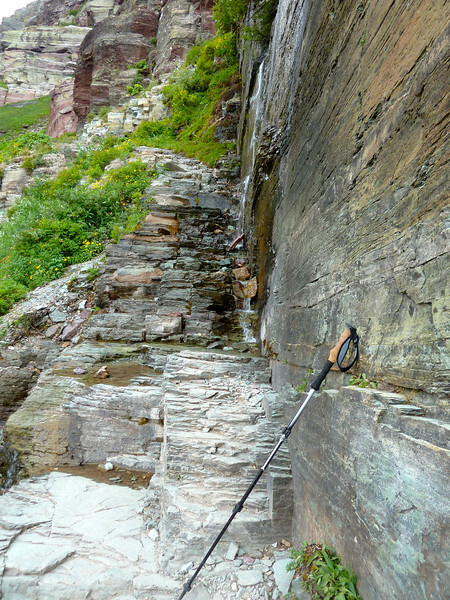 The photo below is typical of the rock formations prevalent in this part of the trail. 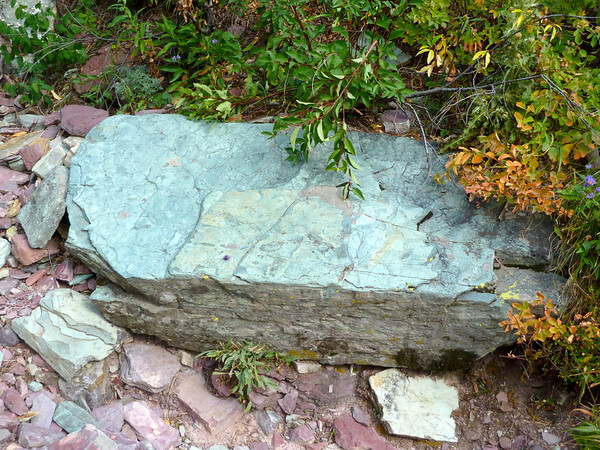 The center rock is approximately one meter across. The blue is indicative of copper; the red indicates iron. I keep climbing. It gets colder. I keep a close eye on the weather. It keeps changing. This land makes weather. Clouds come, clouds go. I am in awe. I see another lake in the distance. Checking the map, I think it must be Lake Grinnell. I descend, blessedly, for a good while until I reach the lake, only to realize it is not Grinnell and I still have quite a ways to go. Here I rest, stretch and snack, alleviating my disappointment. And then, you guessed it, I start climbing again. It gets colder. I layer up some more. 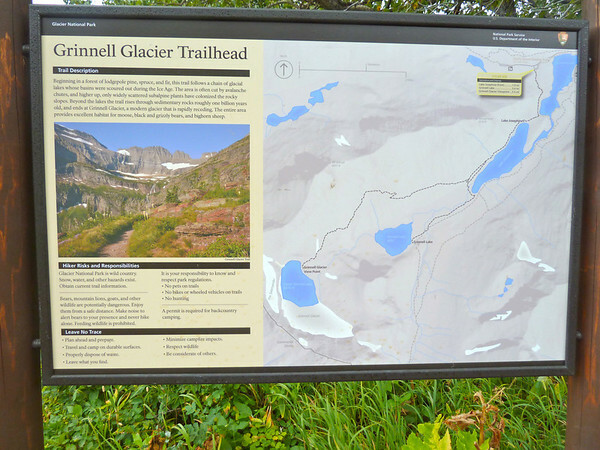 Another 45 minutes and I finally reach the shore of Grinnell Lake and the Grinnell Glacier. 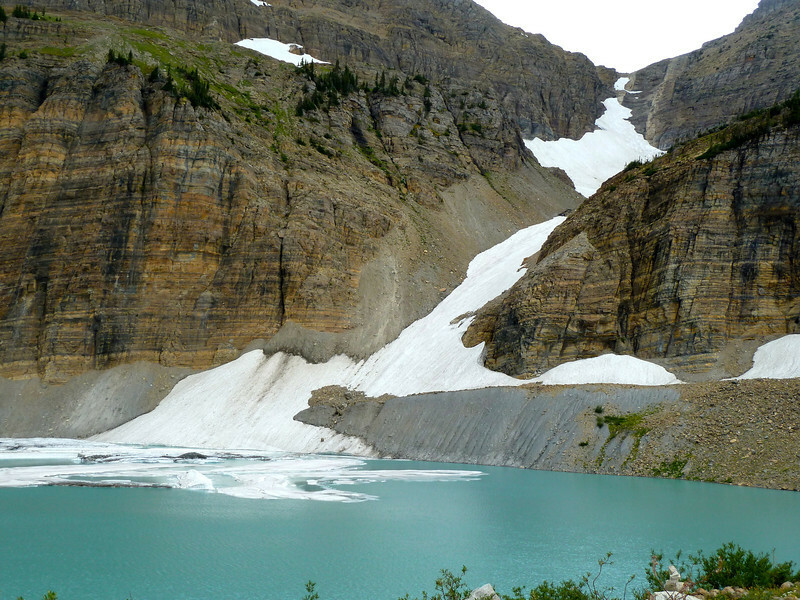 Between 1966 and 2005, Grinnell Glacier lost almost 40 percent of its acreage. 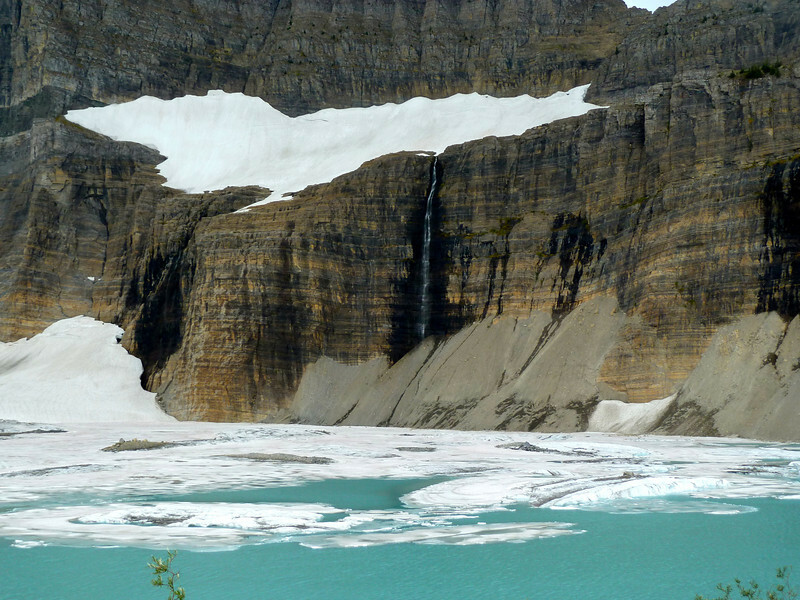 Glaciologists have predicted that all the glaciers in the park, including Grinnell, will disappear by the year 2030. I spend about an hour exploring and photographing the area. I am so glad I came. Here are a few of my shots. I could have stayed longer, but that would not have been intelligent. The afternoon is well along and I have a six mile hike back. I head back at a brisk pace. No photos this time, only stopping to stretch when the sore hip requires. I get to the Jeep around 6:00 p.m. Leaving the park, I drive to the town of East Glacier where I am fortunate to find an inexpensive motel as darkness descends. Some dinner, a soak in the tub and I fall into a deep sleep. 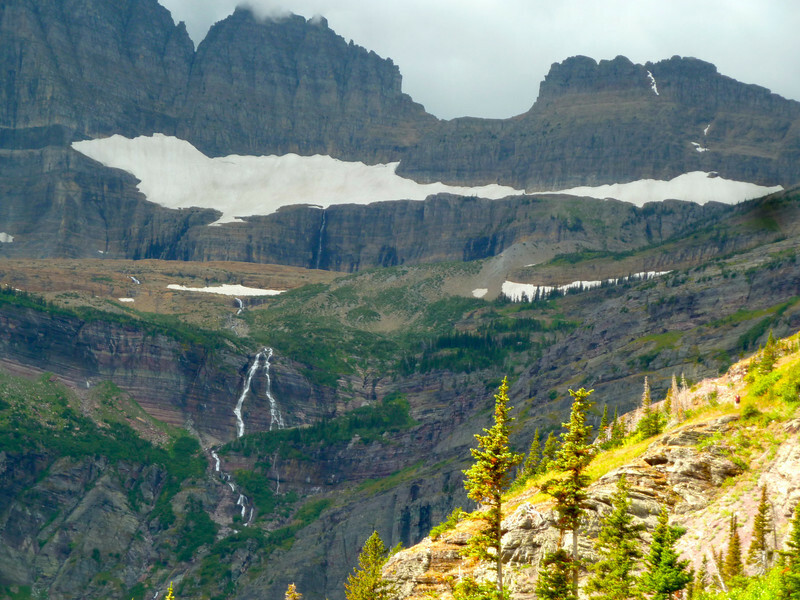 A National Parks Annual Pass is a great investment. Mine had already paid for itself well before I got to Montana. Awesome, Philip!!! I am in awe of this place! Beautiful photos too! It’s a relatively short visiting season Judie, but worth making the trip. Great photos! 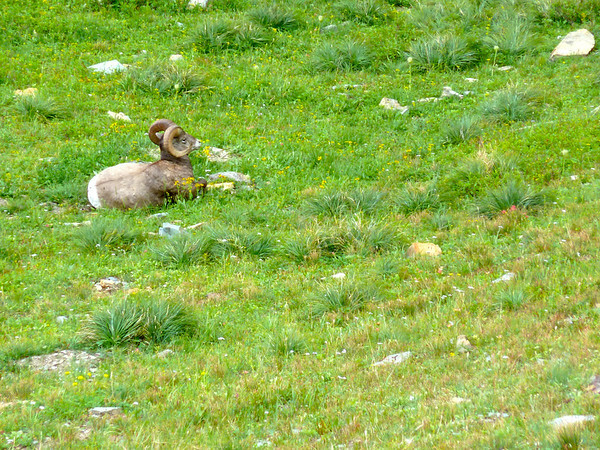 I hate that feeling when you realize you are not as far along in the hike as you thought. It’s like it takes 5 times the effort to get your feet moving again. So true Steph. Especially when you are also having a physical challenge.